Hockey has been a big part of my family’s life since we were children. All seven Glowacki children were always around the rink. When we moved to Michigan a year after Howard opened, we all jumped right into the hockey scene in Southwest Michigan. We want to be one more place area children and adults can go for a positive, encouraging, and fun atmosphere. This was always my dream but I wasn’t sure how I could get there. 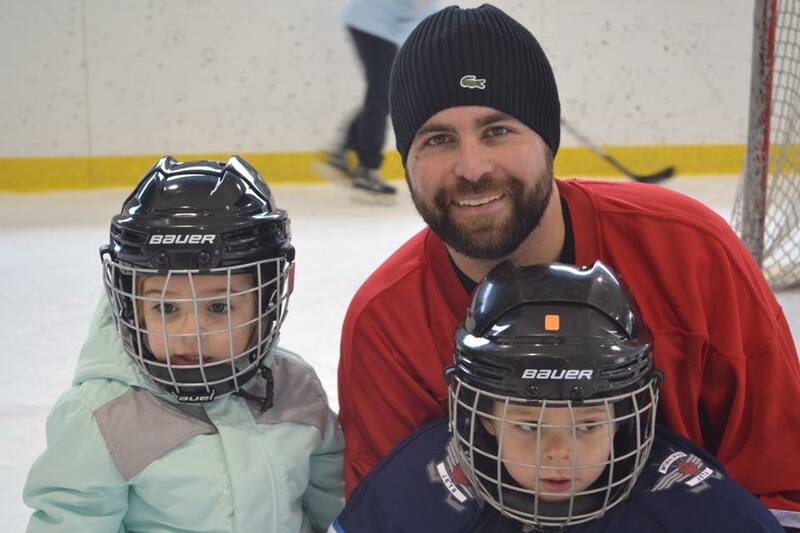 With the growing interest of hockey in the area, thanks to the work of past and present BAHA parent volunteers, we started seeing a possibility that a full-time ice rink could succeed. With some great inspiration from Greg Griffin (my father-in-law) and my wife, Becky, did this dream start to take hold. That was December of 2016. Through the help of many people, most importantly Greg and Chris Griffin, my wife Becky, and Terry Brand (thanks John Koehler), we have our ice rink. This rink is a place our community can be built around. We want to be one more place area children and adults can go for a positive, encouraging, and fun atmosphere. Hockey has had a positive influence on me and I want hockey and other on-ice activities to have a positive influence on the community. The 10 acres of land the rink is built on was once owned by the Mundt family. This family owned it for over 100 years. In the 80s and 90s, if you lived in the area, you would remember a man who had a garden on our property. ​His name was Franklyn Mundt. He sold vegetables at his stand from his house across Cleveland Ave and waved to drivers passing by. We felt the name of our arena should reflect the history of the property. Thus, what was once Franklyn Mundt’s garden is now The Garden Ice Arena.